1. Adjusted master plan on socio-economic development of Vinh Long province to 2020, vision to 2030 must create a breakthrough in economic restructuring, production restructuring in each industry and each field area; developing high-tech and large-scale agricultural applications; to vigorously develop industry, create a driving force for economic growth, especially agricultural product processing industry; promote comparative advantages for tourism development. 2. Promoting internal resources, attracting domestic and international resources to invest in building synchronous and modern infrastructures, focusing on urban infrastructure, transportation, electricity and irrigation, information and communication technology; linking agriculture and tourism development in the overall relationship with the provinces in the Mekong Delta region and the Mekong subregion; to develop urban centers into nuclear centers to promote development of sub-regions in the province. 3. Focus on developing high quality human resources; improve skills and working skills for employees; training technology and business experts; create an environment to attract high-quality human resources to work locally. 4. Socio-economic development must be associated with climate change adaptation and sea level rise, suitable to each branch and domain to ensure multi-purpose, efficiency and sustainable development. Closely combining economic development with social development; building a strong political system, ensuring national defense, security, social order and safety. Focus on economic development, shorten the gap and development level of the whole country; to build Vinh Long to develop comprehensively modern agriculture, industry and services, with a strong tourism service industry, socio-economic infrastructures, step by step well connected with Mekong river delta region and the whole country; effectively managing and using natural resources and protecting the environment, proactively adapting to climate change, improving people's lives; security and defense are ensured, social order is maintained. - The total local product (GRDP) by 2020 accounts for about 6% - 7% of the Mekong Delta region and accounts for about 1% - 2% of the whole country; Average growth in the period of 2016-2020 increased by 6.5% / year, in a period from 2021 to 2025 increased by 7.5% / year, in a period of 2026 - 2030 increased by 7% / year. - Average income per capita by 2020 is about 1,950 USD, about 2,500 USD in 2025 and about 3,600 USD in 2030. Labor productivity by 2020 will reach VND 95 million / labor; in 2025 reaches 137 million VND / labor and in 2030 reached 192 million VND / labor. - Proportion of agriculture, forestry and fishery accounts for 28%, industry - construction accounts for 25.60%, services account for 46.40% in economic structure by 2020; respectively 2025 is 23%, 28.50% and 48.50%; by 2030 are 17.80%, 32.60% and 49.60% respectively. - Exports by 2020 will reach about 530 million USD, accounting for about 2% - 3% of exports throughout the Mekong River delta region and about 1% of the whole country; 2025 reached 730 million USD; in 2030 about 1 billion USD. - Annual population growth rate is stable at 1%. - Percentage of trained workers to 75% by 2020, of which trained workers have degrees and certificates of 50%; corresponding to 80% and 65% by 2025; by 2030, it will reach 85% and 75%. - By 2020, there are 12-15 doctors / 10,000 people and 30 beds / 10,000 people; by 2025, there will be 15.5 doctors per 10,000 people and over 33 beds per 10,000 people; By 2030, there are 17 doctors per 10,000 people and from 35 to 40 beds per 10,000 people. - By 2020, the number of pupils going to school in the preschool age will reach 98%, primary education will reach 100%, junior high school will reach 99%, and high school will reach 80%; 55% of schools with national standards; by 2025 and 2030, to maintain mobilization rates at all levels and the percentage of schools of national standards reaching 80%. - Urbanization rate will reach 20-25% by 2020; By 2030, it will reach 25-35%, striving to build Vinh Long with 11 urban centers to ensure the prescribed criteria. c) Environment: The rate of domestic solid waste collection by 2020 in urban areas is 96% and in rural areas is 75%; by 2025, the rates are 98.5% and 88% respectively and by 2030, the rates are 100% and 90% respectively. 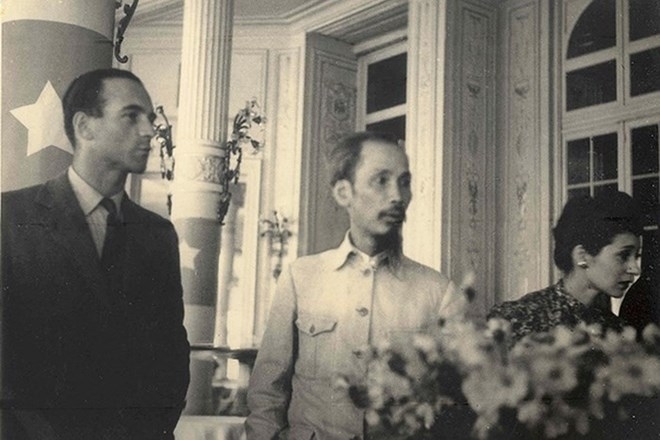 d) Defense and security and social order and safety: Strengthening national defense and security combined with socio-economic development; to build a movement for the entire population to protect the national security, maintain political stability, social order and safety in the locality. To develop agriculture to apply high technologies and organic agriculture to adapt to climate change and efficiently use land and water resources; developing high quality rice products, sweet potatoes, citrus; pigs, cows (including dairy cows) and pangasius. Orientation of paddy land area: will be reduced from inefficient rice production areas to grow crops and fruit trees, reducing rice land from 71,760 ha in 2015 to 64,500 ha in 2020 and stabilizing about 50,000 ha by 2030. To shift from small-scale animal husbandry to large-scale, concentrated, well-managed diseases, meeting food hygiene and safety standards and connecting with consumer markets in a sustainable value chain; by 2020, the herd of pigs will be stable from 350 to 400 thousand heads, cows will be stable from 80 to 90 thousand heads; poultry herd is about 8 million. Continue to effectively exploit the existing advantages of the fisheries sector, restore and bring the fisheries sector into a strong position; By 2020, aquaculture production will reach about 126,650 tons. Effectively exploit the potentials, advantages and rapid growth of industries applying advanced technologies, creating quality products, high added value and being able to compete in the domestic and foreign markets, environmental protection; completing infrastructure of concentrated industrial zones and clusters; step by step affirming its position and contributing significantly to industrial development of the Mekong River delta region and the whole country. - Developing and expanding the processing industry of agricultural products, food and beverages; production of building materials; textile industry, footwear; chemical industry, pharmaceuticals and medical equipment. - Textile and footwear product supporting industry; supporting industry of animal feed products; mechanical industry of repairing and processing equipment for production and civil; metal production; electronic. - Industry in service of agricultural production, including mechanical engineering and repair; handicrafts and traditional industries. - Renovating and upgrading central markets, trade centers in Vinh Long city, Binh Minh town and districts; developing rural markets, expanding distribution channels of goods and services to rural areas; gradually increasing the proportion of retail sales through modern distribution systems, increasing the proportion of contributions to the province's economic growth. - Strengthening exports with high growth rates, stability and sustainability; expand markets and diversify export products, develop export products with high technology and added value. - Developing eco-tourism, diversifying products, types and links of tourism development; strive to increase the average revenue of tourism in the period of 2016-2020 at 15% / year, the period of 2021-2025 is 25% / year and the period of 2026 - 2030 is 30% / year. Innovating methods, content of education and training has changed from being equipped with knowledge mainly to comprehensive intellectual, moral, aesthetic and practical education; improving intellectual standards and quality of human resources; increase investment in construction of school facilities and equipment, standardization of teachers and managers. By 2020, the percentage of elementary, middle and high school students who study English under the new program is 100%; the number of pupils going to school in the preschool age reaches 98%, primary school reaches 100%, junior high school reaches 99%, high school reaches 80%; 55% of schools with national standards. By 2025 and the year 2030 continue to maintain the mobilization rate at all levels; the percentage of schools with national standards reaches 80%. To increase investment in building hospitals, medical centers and medical equipment, reducing morbidity and preventing effective control of epidemics, ensuring that all people are provided with basic medical services, access to high quality medical services; improve the quality of medical examination and treatment, ensure fairness in people's health care; promote socialization of health services, create conditions for all economic sectors to invest in health services; improve fitness, increase life expectancy, improve quality of life, improve population quality. By 2020, the rate of communes meeting national standards of health is over 99%; The proportion of the population participating in health insurance is over 90%. By 2025 and 2030, the rate of communes meeting national standards on health remains above 99%; The proportion of the population participating in health insurance is over 95%. Create a healthy cultural environment in residential communities, agencies, businesses, schools and every family; create strong changes in awareness, sense of respect for law, personal responsibility; prevent and repel moral degradation and lifestyle in the community. Constructing key cultural projects, districts, cultural institutions and entertainment areas for children; well organizing cultural and artistic activities; preserve and promote the value of tangible and intangible cultural heritages. To develop various forms of physical training and sports, expand mass physical training and sports movements, encourage and regularly organize sports competition among people. Reasonably allocating social resources, effective exploitation and use of social labor through economic restructuring; well implement employment policies, improve labor quality in terms of health, skills and professional ethics to meet requirements of economic development and integration. Focus on vocational training, especially for rural workers associated with job creation; encourage and create conditions for enterprises and construction investors to develop production, business and services, create more jobs for workers, especially in industrial and tourist zones (routes)...; well implement poverty reduction. Take good care of policy beneficiaries, people with meritorious services, social protection objects; interest in supporting ethnic minorities; well implement social insurance policies, unemployment insurance, accident insurance. Striving to reduce the average poverty rate in the period 2016 - 2020 from 1 - 1.5%, the period of 2021 - 2025 and 2026 - 2030 is 0.5%. 5. On science and technology: Research and implement solutions to exploit and use natural resources effectively and sustainably; widely applying new technologies and technologies, creating a breakthrough in high-value plant varieties and animal breeds and new technologies in service of mechanization of each stage and each stage in agricultural production; support enterprises to innovate technology, increase science and technology content in branded products; technology market development. 6. Regarding infrastructure development: Focusing on mobilizing all resources to invest in basically solving urgent and essential needs, completing synchronous economic infrastructure system, connecting well with region and country, meeting requirements of socio-economic development and national defense, environmental protection and climate change adaptation. In the immediate future, to concentrate on investing in breakthrough projects and impact positively on implementation of socio-economic development objectives and orientations, especially requirements of industrial development and public agriculture. 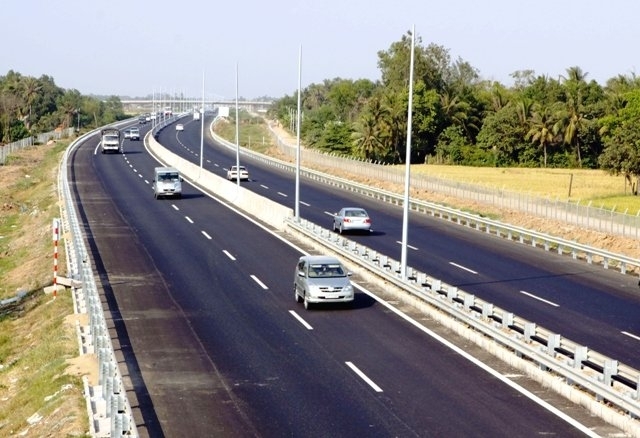 - Coordinate with Ministry of Transport to implement expressway projects, renovate and upgrade national highways and weak bridges in the area (national highway No.53, national highway No.54, national highway No.57 ...), invest in renovating and raising provincial roads to reach standards of communes and residential areas. Investing, upgrading traffic in urban areas, developing rural transport. - Investing in upgrading, managing and efficiently exploiting the system of existing river ports (Vinh Long, Binh Minh and An Phuoc ports) to meet the loading and unloading demands and well serve the needs of production and goods transportation, especially through industrial zones and routes. - Newly constructing, renovating and upgrading bus stations, parking spots, pick up and drop off passengers in accordance with the planning, ensuring enough functional areas (parking area for loading and unloading passengers, ticketing rooms, lounge waiting , sanitation areas, fire and water drainage systems ...) and material facilities for operation and management; There is enough concentrated parking in urban areas. b) Regarding irrigation: Gradually improve irrigation system to ensure sufficient water supply for daily life and production, especially in Vung Liem, Tra On and Mang Thit areas. Increasing ability to actively control floods and control salinity in order to increase the area to be safe when there is a risk of flooding and salinization. Upgrade river dyke system in accordance with requirements of each protected area; preventing landslides, increasing safety levels in protecting and stabilizing river and canal banks; step by step improve efficiency of management and operation of irrigation works and systems. c) Communication: Developing synchronous information technology infrastructure, ensuring good support of the administrative reform and modernization program; implementation, provision of public services, e-government; ensuring information security and safety, meeting the requirements of socio-economic development. d) Electricity: Continuing to invest in new development and renovation of the medium, low-voltage electricity network and existing transformer station, ensuring safety and continuity, well serving production needs in the areas, clusters (routes) of industry, trade villages and people's activities, coupled with saving and reducing electricity consumption. To invest in building and upgrading daily-life water supply systems for urban centers and residential quarters, ensuring the clean and daily-life clean water requirements. To continue investing in water supply and drainage systems in association with urban construction, upgrading and development planning, concentrated population quarters, hospitals and schools. a) Managing and treating environmental pollution in concentrated agricultural and aquatic production areas, tourism resorts and biodiversity protection; enhance treatment of pollution of waste water, industrial waste, urban wastewater, proactively prevent natural disasters, timely rescue of environmental incidents. b) Improve quality of forecasting and proactively respond to and mitigate losses caused by natural disasters and impacts of climate change and sea level rise; invest in research and adjustment of plant and animal breed structure to adapt to climate change; propaganda and education to raise awareness, responsibility to preserve and protect the environment and develop sustainably in the community; improve community capacity and responsibility in natural disaster prevention, mitigation and adaptation to climate change. d) Arranging and re-arranging population in areas at high risk of being affected by natural disasters, climate change and areas at risk of landslides; create livelihoods, improve and stabilize livelihoods for affected people. Implement regional links and links in areas to maximize the potential and advantages of the province to the region, link to ensure the principle of harmonization of interests, responsibilities and equality, contributing to asserting the role and position of Vinh Long in the Mekong Delta region. In the 2016-2020 period, to prioritize linking regions in three areas, namely: (i) production, processing and consumption of products according to the value chain for agricultural products, especially focus on branding key regional products such as rice, fruit and seafood; (ii) constructing and upgrading of transport infrastructure; (iii) investment in construction and upgrading of irrigation systems. Strengthening links with more frequency with neighboring provinces, especially Can Tho city in aquaculture, tourism, investment promotion, environmental protection, adaptation to climate change. 9. Regarding national defense and security: To closely combine socio-economic development with ensuring national defense and security, building a all-people defense posture in association with the people's security posture; building solid defense areas; ensuring political security, social order and safety in all situations; to build a regular, elite and step-by-step military force, focusing on building the militia and self-defense force. Building a strong and clean people's police force, improving the effectiveness of preventing and combating crimes, creating firm changes in social order and safety. - Driving force development central region, including Vinh Long city, Long Ho district and Mang Thit district. 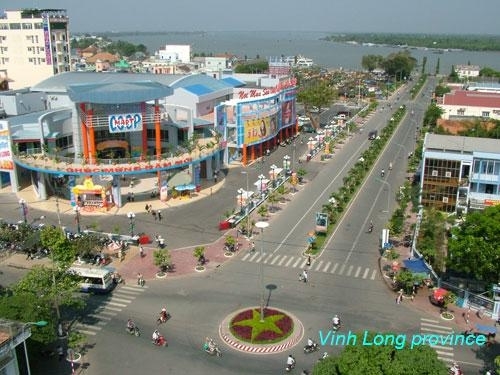 In particular, Vinh Long city is the nucleus, driving force for general economic development, the central region connects with the province, towards the counterbalance areas to the West and urbanization area to the East and South through national highways No.1, No.53, a road along Tien river and Co Chien river to the southeastern urbanization area. - The western counterbalance area includes Binh Minh town, Tam Binh district and Binh Tan district. The main focus is the Binh Minh town, Tam Binh district, which is a commercial connection between the two cities of Vinh Long and Can Tho, and a trading center and agricultural hub of Vinh Long. - The southeastern urban area includes Vung Liem district, Tra On district. At the center of the region, Vung Liem town and Tra On town will be taken as the main driving force. Focus on developing trade in regional cities; in the period of 2021 - 2030, continue to invest in developing commercial and urban areas towards the Eastern urban area of ​​the province in association with Vung Liem urban area. - Areas specializing in specialty rice cultivation for export and vegetables: Focus on exploiting favorable conditions in districts such as Tam Binh, Vung Liem, Tra On and some communes of Mang Thit, Long Ho and Binh Tan districts and Binh Minh town. The area of ​​rice cultivation in these districts is about 75% of the province's rice cultivation land. - Fruit-growing areas: Forming fruit-growing areas in high land areas in districts along Tien and Hau rivers; focus on a number of traditional, branded and highly exportable plants such as oranges (Tam Binh, Tra On), longan (Long Ho), pomelos (Binh Minh) and rambutan (Long Ho, Tra On) ; At the same time, these areas both combine fruit-growing with tourism services to increase income, improve people's lives. - Commodity aquaculture areas: areas specialized in aquaculture need to be formed in alluvial areas along the river and distributed in the direction of: (i) areas along the Tien, Hau rivers and islands of Long district. Ho, Vung Liem, Tra On, Binh Minh; (ii) fish farming area with 2 crops of rice mainly in Tra On and Vung Liem districts; (iii) aquaculture ponds and garden ditches in the districts of Tam Binh, Tra On, Long Ho, Mang Thit and a part of Binh Minh town. Focusing on new investment in 02 zones and 02 concentrated industrial clusters: Binh Tan industrial park, Binh Tan district (400 ha) and Dong Binh industrial park, Binh Minh town (350 ha); Vinh Long city industrial cluster in Tan Hoi commune, Vinh Long city (about 50 ha) and Phuoc Truong - Phuoc Tho industrial complex, Vung Liem district (about 48.7 ha). In favorable conditions, it is possible to develop more planned industrial zones and clusters. - Industrial region 2 (along Hau river) includes districts of Binh Tan, Tam Binh, Tra On and Binh Minh town with an area of ​​about 809.57 km2 and a population of about 477,657 people, accounting for 53.3% of the area and 45.7% of the province's population. a) Urban space: Urban development in order to facilitate non-agricultural sectors, step by step build a civilized and modern urban infrastructure system. - By 2020: To concentrate resources on upgrading and developing Vinh Long city to reach grade-II urban centers and Binh Minh township to achieve grade-III urban centers by 2020; establishing Tan Quoi town, Binh Tan district; upgrade 4 communes of Vinh Long city to the ward (Tan Hoa, Tan Hoi, Truong An, Tan Ngai). - By 2030: To upgrade 2 urban centers to grade-IV urban centers (Tra On town and Vung Liem town) and establish 3 new urban centers, grade V urban centers (Phu Quoi, Cai Ngang and Huu Thanh); By 2030, construction of Vinh Long has 11 urban areas, of which 1 is grade II, Vinh Long city, 1 urban center is grade III, Binh Minh town, 2 urban centers of grade IV include: Tra On town, Vung Liem town and 7 grade V cities include towns: Long Ho, Tam Binh, Cai Nhum, Tan Quoi, Phu Quoi, Cai Ngang and Huu Thanh. - Formation of rural population along routes and residential clusters in specialized rice areas, linking these population forms with community tourism models; planning to build communes according to the new rural model, ensuring social and technical infrastructure; to form large specialized cultivation areas to mechanize agricultural production in conformity with the process of industrialization and modernization and economic restructuring in rural areas. - Organization of population according to the model concentrated in the center of the commune and concentrated residential areas Reorganize population scattered in the field, on deep water canals and roads into concentrated residential areas; planning, renovating and building social infrastructure systems, technical infrastructure, especially for transportation, water supply and electricity supply according to the trend of approaching urban lifestyle; to form rural residential routes along main corridor axes connected with urban centers in order to exploit existing infrastructure. - Development of capital markets, forms of joint ventures and investment links; mobilize investment capital from the people and enterprises to invest in production and business development; At the same time, implementing mechanisms and policies to maximize mobilization of all investment capital into the province. - Improve the investment environment, support investors and enterprises to develop production and business; strengthening and innovating investment promotion, well implementing administrative reform, creating favorable conditions to attract investors to production and business; support start-up businesses. - Mobilizing and effectively using investment capital from the state budget; take advantage of the support from the central government through the implementation of targeted programs and programs to develop preferential mechanisms and policies of the region. Actively choose and prioritize the implementation of key projects, motivation; At the same time, there is an appropriate investment divergence with the ability to mobilize and balance the annual budget. - Socializing education, vocational training, attracting investment in training schools and facilities with modern equipment; expand cooperation and training cooperation with universities, research institutes, quality training institutions to train high quality human resources, good occupational skills, behavior and discipline in labor. - Encouraging enterprises that wish to employ associates in labor training, promptly meeting the labor demand for enterprises, using labor effectively for training workers. - Innovating training methods in the direction of promoting the activeness and creativity of learners, building training programs suitable to the needs of society and practical accessibility; carry out surveys to assess the quality of human resources training, assess the level of meeting market requirements to have appropriate improvement solutions. - Training and retraining management and business administration staff to meet the requirements of applying science and technology and international economic integration. - Well implement remuneration policies, attract talents, highly qualified workers and create working conditions to attract scientific and technical staff for long-term work in the province, especially the education sector - training, health, scientific research. - Drastically implement solutions to improve and improve the provincial competitiveness index (PCI); focus on improving the low-ranking components of the province such as: transparency, dynamism, support services and labor training; build e-government with modern, transparent administration, apply information technology in management and direction; providing high-level public services in handling administrative procedures. - Innovating scientific and technological activities, enhancing the dissemination of scientific and technical information, market economy information; create conditions for scientists, enterprises and manufacturers to associate scientific research projects with experimental production projects; Encouraging the use of new high-quality and good-quality plant and animal varieties. - Strengthen research and application of scientific and technical advances; create a strong change in the application of scientific and technological achievements, especially in the fields of information technology, biotechnology, material technology, seed production and preservation; In industry, priority is given to selecting technologies suitable for agricultural and aquatic processing technologies. - Protect and improve the environment for sustainable development, focusing on managing and treating environmental pollution in agricultural production areas, fisheries, concentrated husbandry and tourist areas; strengthen the treatment of pollution of waste water, industrial waste, urban waste water, actively prevent natural disasters; environmental pollution control; perfecting industrial and urban wastewater treatment systems; propaganda and education to raise awareness, responsibility to preserve and protect the environment and sustainable development. - Develop and effectively implement investment support policies, lists of investment invitations, policies to support and develop businesses, cooperatives, etc. to suit investment attraction orientation. into the province. - Develop programs and projects calling for investment: On the basis of socio-economic development planning, set up projects that can bring high production and business efficiency; implementing open policies, suitable to the province's conditions to attract economic sectors in the province, domestic and foreign to invest; attract overseas Vietnamese to return home to invest. - Research and propose a number of special mechanisms (in the field of tax, land, ...) for investors to invest in infrastructure of industrial parks, tourism and commercial development infrastructure. ..
- Coordinate with ministries, branches and localities in the region to clearly identify each field, each work content, create conditions for market expansion and business cooperation among enterprises; coordinate in planning and construction investment of projects managed by ministries and branches in the province. - Links of economic sectors in production and distribution to ensure timely supply of goods and services to meet the needs of production, consumption and consumption of agricultural products; Joint venture to produce and consume products with foreign companies. Combining socio-economic development with consolidating national defense and security, ensuring political security and social order; improving defense potential and advising role of local defense and security agencies. - Organize the announcement and dissemination of the master plan on socio-economic development of Vinh Long province to 2020 for Party committees and authorities, branches, mass organizations, enterprises and people in the province right after when signed by the Prime Minister. Based on the contents of the Planning, building a specific action program to have a plan to achieve results. - Promote investment promotion activities, introduce and promote local potentials and advantages to investors; Introduce programs and projects that need to be prioritized for investment, with a focus on calling for investment in key projects to create key products. - Concretize the contents of the Plan adjusted with medium-term and annual plans to implement and evaluate the achieved results. - Levels, branches, socio-political organizations and people in the province are responsible for inspecting and monitoring the implementation of the Plan. - Guide and help Vinh Long People's Committee in the process of implementing the Planning adjustment. - Coordinate with Vinh Long province in the process of reviewing, adjusting and supplementing branch and field plannings to ensure the uniformity and uniformity of the Planning; consider and support the province in mobilizing domestic and foreign investment capital sources to adjust the Planning.